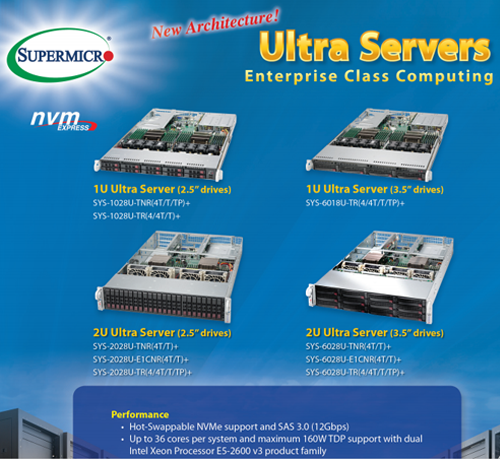 The ServerWare® SG18D-CT 1U Server is based on SuperMicro® Server specifications design. 2 x 10Gbe Intel® X540 Netowrk controller. It supports Dual (2) E5-2600V3 Intel® Xeon Processors family ( based on the Haswell micro architecture) and up to 512GB Memory capacity on 8 Dimms configurations. Above all, it also comes with 4 SAS Hotswap Modules to provide up to 24TB RAW HDD Space on 6TB Configurations. Supermicro® has designed a new class of SuperServer® systems optimized to meet the latest and most stringent data center power efficiency requirements. Today’s Cloud and Hyperscale operations, with many thousands of servers installed, require the highest levels of performance-per-watt to keep operating costs (OPEX) at acceptable levels without sacrificing performance. 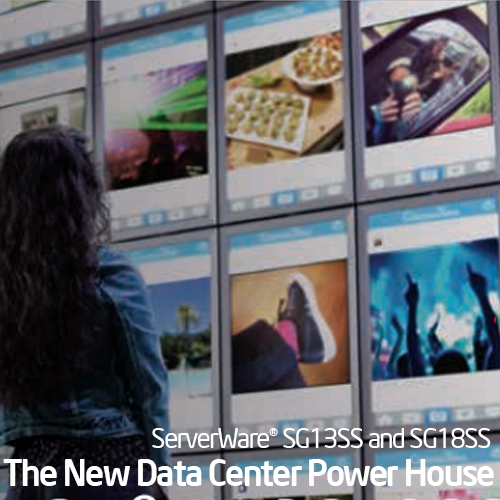 The New Data Center Graphics Powerhouse with ServerWare® SG13SS and SG18SS. Visual content is increasing in our digital world. According to a 2014 report by Sandvine, video delivery will account for 79 percent of Internet traffic by 2018. Entertainment and social networking are driving this growth, yet data center graphics are also playing an increasing role in business, changing the way products are designed and sold, data is analyzed, and information is shared. Engineering work once done only on a deskside workstation is now being moved to the data center with complex 3D applications being delivered remotely to end devices. This enables better collaboration and offers increased security as data is stored in secure data centers.